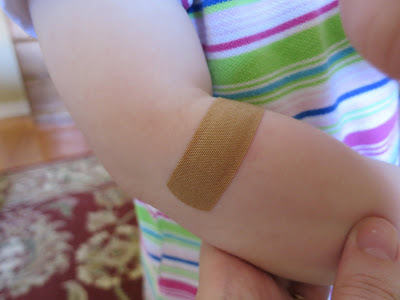 Lucy was picking at a bug bite on her arm today, so much that she made it bleed. I cleaned her up and bandaged it, hoping to reduce the temptation to pick at it. As I put the bandage on, I told her, "This needs to stay on, so your bug bite can heal. Don't pick at it. Don't touch it."